The International Wine & Spirit Competition announced joint winners of its Communicator of the Year 2015 award during the weekend’s Gala Dinner to launch Vinitaly. With judges unable to split two nominees, this year’s prize, sponsored by Vinitaly, is shared between Australian wine writer and presenter Tyson Stelzer and US restaurateur Joseph Bastianich. 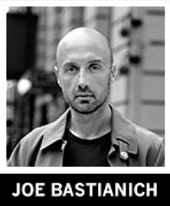 Joseph Bastianich has not only co-founded 30 restaurants around the world, but also co-authored two books on Italian wine, acted as a judge on Fox’s Masterchef series and presented CNBC’s Restaurant Startup. Previous winners of this IWSC award to highlight “an individual who demonstrates exceptional contribution to increasing awareness of wine and/or spirits” include wine writers Jancis Robinson MW and Olly Smith, whisky specialist Dave Broom and last year’s winner, Saturday Kitchen presenter Jane Parkinson. 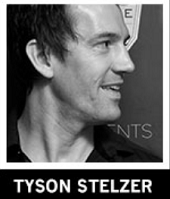 Tyson Stelzer is due to host a tasting at Vinitaly today, Monday 23 March, titled: “The Wine Closure Debate, Same Wines, Different Closures, You Decide”, which takes place at 3.30pm at the Tasting Ex.Press, Sala Iris, Palaexpo, Ingresso A1. To keep up to date with IWSC news, visit www.iwsc.net.